Can You Put Baby Powder On Dogs? Many pet parents and sitters wonder if putting baby powder on dogs is safe. 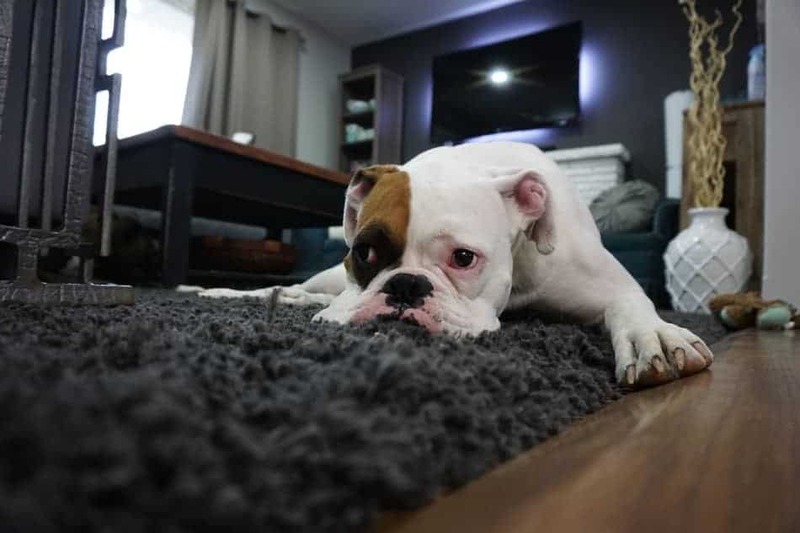 This question is asked a lot, especially during the winter months, when you don’t want your canine companion to fall sick after a bath but would like to get rid of the bad odor. Can I Put Baby Powder On My Dog? Baby powder can be used as a substitute for dry shampoo to freshen up dogs when baths are not a possibility. You can’t just shake the bottle onto your dog like you would when changing a baby’s diaper. Here is how you should use it instead. Stand away from your pooch and rub a small quantity of the powder on your hands, so the pooch can’t inhale it by accident. The amount that you will be needing depends on your pet’s coat, thicker fur may require more. Rub your hands over your pet and through his fur. Make sure you don’t see powder on his fur as that would mean you have used too much. Just use enough to give him a fresh scent. You can also brush it through your pup’s hair. Let it sit for 5 to 10 minutes so it can absorb the excess oil in the fur, before brushing it off. Avoid contact with nose, eyes, ears and mouth. It soaks up the excess oil from hair roots, prolonging the time between baths. It has a very pleasant odor and leaves your pooch smelling nice. It is a quick solution for smelly puppies and great for situations where you can’t give your pet a bath. It is a cheaper alternative to dry bath products. It is easily available everywhere. This substance can be drying and using it too much or too frequently can cause your pup’s fur to lose its natural oils and luster. Your pet may choke upon inhaling it. It is harmful for your pup if licked or inhaled and can cause health issues. Talc based baby powders (Talcum powder) are especially harmful as they are carcinogenic, cancer causing. The additional scent chemicals can bother your pet especially if he has a respiratory condition. Here are some frequently asked questions by pet parents. Can I Put Baby Powder on my Dog to Kill Fleas? The most difficult pests to control in a pet’s habitat are fleas. If you observe your dog trying to scratch itself all the time and being uncomfortable take a flea infestation test. To check whether your furry friend has flea in its fur, wear a white sock on your hand and run it through his hair. If your sock comes out dotted with hopping black specks, your pooch has flea in its fur. To get rid of the flea you can use commercially available products in the market that address this issue. But baby powder can also be used as an alternative as it suffocates and kills the fleas. Here is how you can use this substance to get rid of the flea infestation in your dog’s fur. Dust your pet’s fur lightly with it. Wear rubber gloves and work the substance into the fur. Leave the substance on for a few minutes to work on the fleas. Comb your pup’s fur with a flea comb to clean it up. Put the extracted flea on a white paper towel or surface to see if there is still activity. Repeat the process if you feel it’s necessary or until the flea population is exterminated. Give your pet a bath afterwards and dry him thoroughly. While you treat your pet to get rid of the fleas. Wash his bedding to get rid of fleas or lightly dust it with baby powder. Leave it on for some time and then shake off or remove the dead fleas off it using a vacuum cleaner. What About Using It for Itching? What works for humans does not necessarily work for dogs too. Especially in the case of itching when your pup may be suffering from a seasonal allergy or a skin condition. In such a case using baby powder to treat the itch may lead to creating more issues than solving one. There are many anti-itch sprays available in the market over-the-counter, which can be used on your furry friend and are much better as they are specifically made for dogs. Instead of trying to treat him yourself, it is best that you take your dog to a vet who will then examine him and prescribe the necessary medicine for treating the condition. Can I Use It On My Dog’s Ear Wounds? Wounds on a dog’s ear no matter how small are known to bleed excessively. In case your pup suffers an ear injury, and you don’t have access to a first-aid kit, you can use this substance as a substitute for styptic powder to make the bleeding stop . When using it, make sure that your’not using too much and keep it from coming in contact with your pup’s eyes, mouth and nose. Also, do not use it on deep wounds or burns. Can Baby Powder Be Used To Treat Heat Rash? Just like humans, dogs can get heat rashes too when exposed to too much heat. In the areas with hot climates or during summer months, your furry friend is highly likely to develop a rash. You can treat heat rashes by putting some of this substance on your dog. Carefully apply a small amount on the affected area few times a day. It’s not a life threatening condition and may go away in a few days. However, if the condition persists or grows, take your pup to see a vet and get him the help he needs. You can go to a vet each time your dog gets a heat rash. Or you can choose to save a few bucks and try a home remedy instead. Here is how. Your pup may lick or scratch the heat rash frequently causing it to become worse. To avoid this, you can make your pup wear an appropriate cone. Apply a small amount of the substance on the heat rash and avoid getting it into his eyes, ears, nose or mouth. Also try not to leave any on the floor that your pooch may lick off later. Repeat the process a few times during the day until the heat rash disappears. If it does not go away and spreads, your pup may have another skin condition and needs professional help. Try getting a mild product that does not have a strong scent or it may bother your pooch. Putting baby powder on dogs is an effective and economical alternative to many commercially available products traditionally used to treat certain conditions. It is a fast way to have a pooch smelling fresh and clean without having to go through the whole ordeal of giving your pooch a bath. It can also treat rashes, stop wounds from bleeding and get rid of those wretched fleas. However, it does not change the fact that this substance is originally meant for human use, which is why it may not be the ideal solution for treating your pup’s related issues. At the end of the day, do whatever is best for your pet and his health.